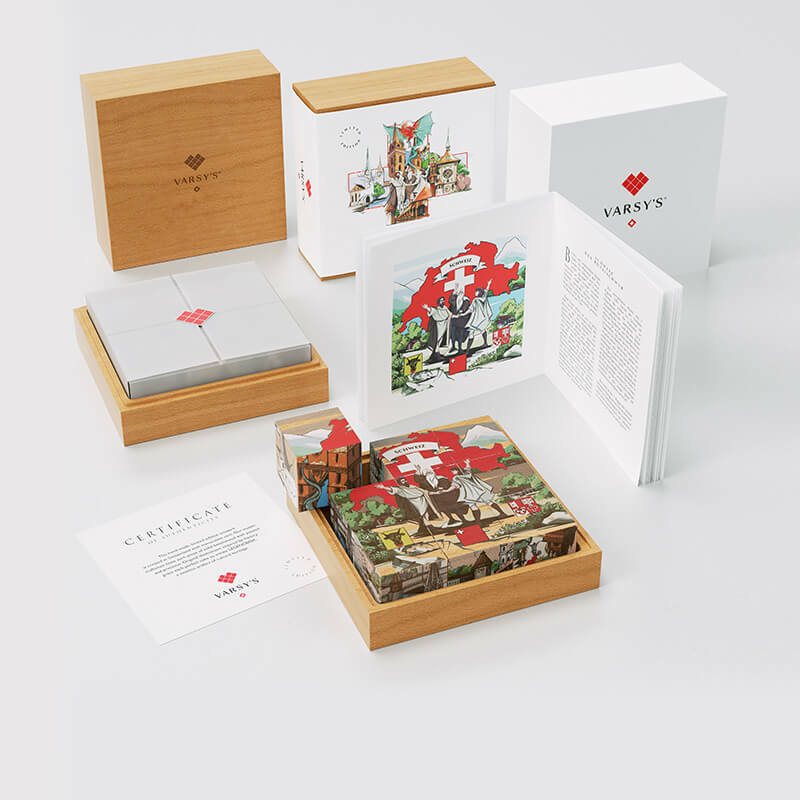 Discover 6 Swiss Legends with VARSY’S LEGENDBOX Limited Edition. 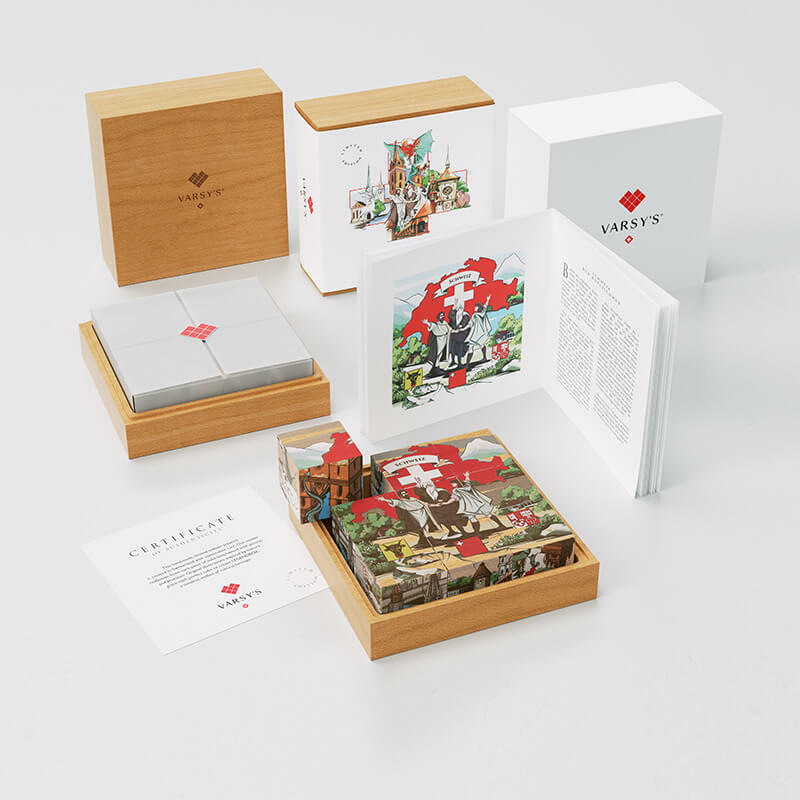 The exquisite box is crafted from one single piece of beechwood, for a precious and desirable artifact of cultural heritage that will last for generations. Each Legendbox Limited Edition is crafted from one single piece of solid beechwood. The delicate woodgrain visible beneath our custom printing technique provides a subtle and sophisticated canvas for the artworks.